Has the burning desire to travel the world been in your family for generations? While our Tracing your Transatlantic Ancestors week focuses on arrivals to America, we shouldn't ignore the departures! Of course some immigrants decided to return home, but many of our ancestors left the United States for business, pleasure or temporary family visits. 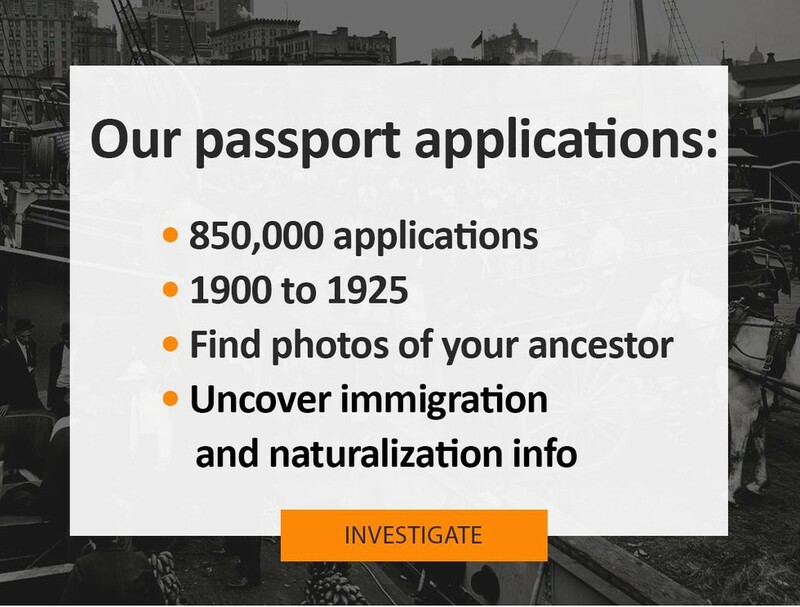 And now that we've just added hundreds of thousands of US passport applications to our records, you'll be able to find out where you ancestors were going and for what reason - along with plenty of other rare background information, including photographs and physical descriptions. By clicking on the camera icon, you'll be able to open the image file, which will show you even more information that isn't in the transcript. If the applicant is an immigrant, you'll learn details of their immigration - when and where they came from, how they traveled to the United States and when they became a citizen (then you can go find their naturalization application!). If they are a natural born citizen, you can possibly find immigration details for their father, if their father was an immigrant. 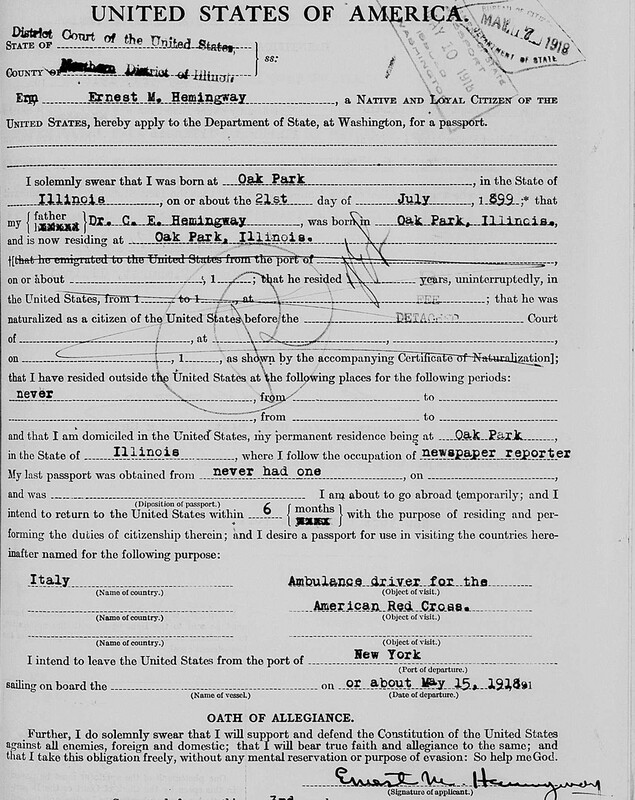 You'll also find their reason for travel and a physical description of them - after 1914, every passport application required a photograph. Search tip: The photo can be found on the back of the application. This means you'll need to hit the "next page" arrow on the right side of the image - the image to the left of your ancestor's application is not their image. 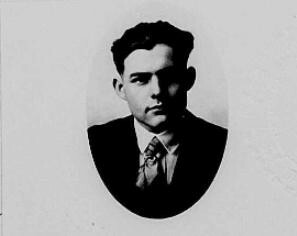 Why did Ernest Hemingway travel to war-torn Europe? This all-time great author wrote several war novels such as The Sun Also Rises and Farewell to Arms. He found himself in war zones several times throughout his life - World War II, the Spanish Civil War, and - as indicated on his passport application - World War I. We can see he planned to leave for Italy to drive ambulances for the Red Cross on or about May 15th, 1918 for six months. He got severely injured only a few months into his duty, but earned a Silver Medal of Military Valor from the Italian government for helping Italian soldiers to safety despite his wounds. We can also see he was working as a newspaper reporter (he would report from the front lines of major battles in the Spanish Civil War and World War II). And of course, we also have vital and parental information as well, and it's clear neither he nor his father were immigrants - we can see their Oak Park, Illinois roots go back several generations. 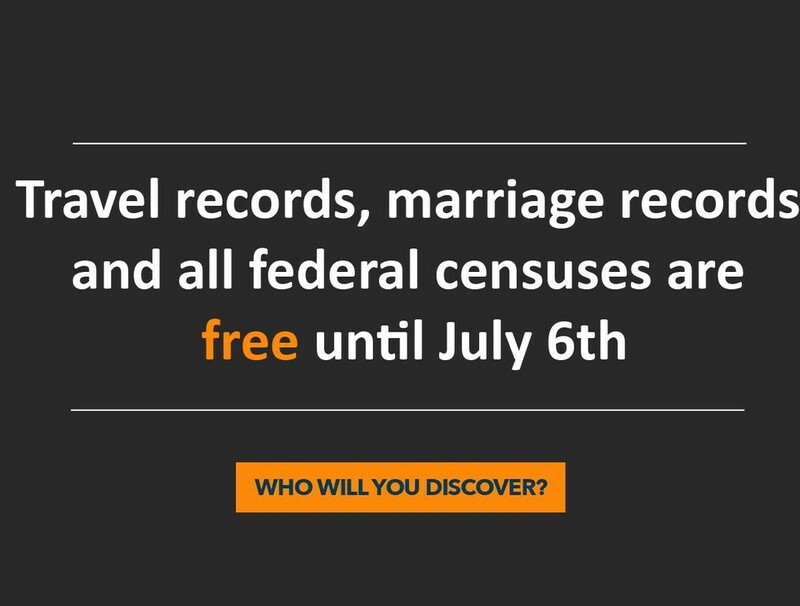 While you can still search for free, go ahead and see if you can find any of your ancestors who applied for a passport. Make an amazing discovery today! Why did some immigrants return home for good?